The Tecnare T Series amplifiers represent the leading edge of amplifier design. In a straightforward robust package, they surpass similar products in power delivery, sonic performance and efficiency. This truly revolutionary amplifier platform provides a logical front panel user interface and powerful Ethernet based remote control. Both provide access to all features allowing rapid system configuration with full performance monitoring and analytics. T44 Series is a 4 channel Class D power amplifier that is available in models developing between 1500Watts and 5000Watts per channel, weighing just 12,5kg /27,50 lbs. 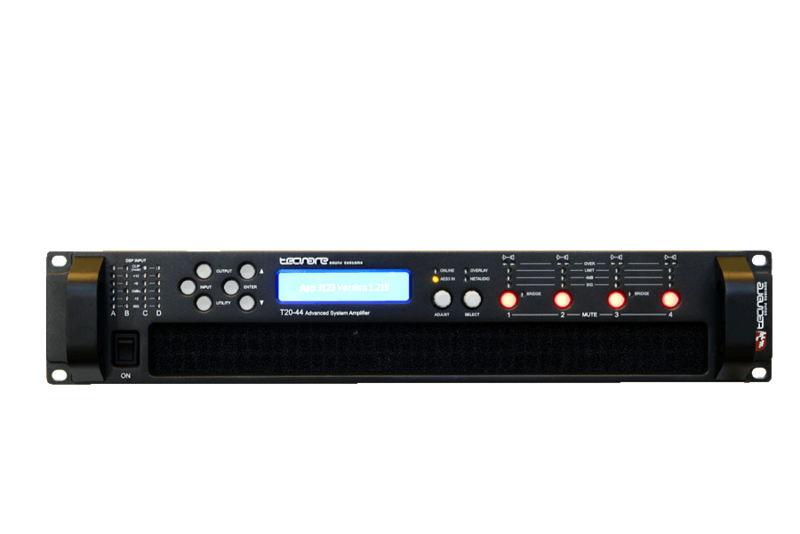 T48 Series is a 8 channel Class D power amplifier that is available in models that develop between 400Watts and 1500Watts per channel, weighing just 12,5kg /27,50 lbs.